A medium-bodied coffee with a nice, chocolate aftertaste, this fair trade, organic Mexican coffee from our trading partners at Maya Vinic is a staple in our coffee line-up. This year, we are enjoying it more than ever. Based in Chiapas, Mexico, Maya Vinic is comprised of 656 farmer families who joined together after the 1997 Acteal massacre that took the lives of 45 of their community members. Inspired by the traditions of their ancestors, Maya Vinic operates with a respect for local language and culture, and a reverence for Mother Earth and traditional forms of self government. Farmers are based in the municipalities of Chenalhó, Pantelhó and Chalchihuitán. Cafe Campesino begin sourcing coffee from Maya Vinic in 2002, when the cooperative exported its first container of coffee under fair-trade terms. We have always been inspired by the resilience, diligence and commitment to community Maya Vinic farmers have shown. In the past 17 years, we have seen the quality Maya Vinic's coffee excel, while cooperative leadership remained committed to getting more money back to farmer members. Maya Vinic now roasts and sells its coffee throughout Mexico, as well as from its own coffee shop in San Cristobal de las Casas. In recent years, the cooperative has worked to improve its organic farming practices, borrowing best practices in organic coffee farming from fellow small-scale farmer cooperatives. In 2017, Maya Vinic instituted training for 162 farmers at various fields schools located within its communities. There, farmers learned how to improve their traps for the coffee boring beetle, improve their composting practices and develop basic mineral broths to enhance soil fertility and overall coffee plant health. We believe their work has paid off. Learn more about the history and story of Maya Vinic. Available in a variety of grind options. We ordered the Mexico Chiapas roast. Excellent and great delivery time. We will order again. Whether you're going to work on a Monday or hanging around the house on a Saturday, this dark and delicious coffee makes any morning better. The first sip will awaken you with a bright pop of lemony acidity, followed by dry and chocolaty earth tones that smooth and sweeten each subsequent sip . Its subtle aroma and medium body makes it a great everyday coffee. Perhaps the best feature of this coffee is that it manages to be both luxurious and down to earth. As we speak, I'm steaming a second pot of water and grinding another hopper of beans for the french press. Highly recommended. We have been buying coffee from Maya Vinic for over 14 years now. I can't find another brand that compares to its flavor. Usually we do either a slow drip or coffee press. 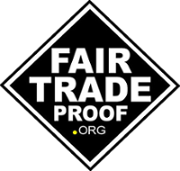 We also are proud to support Fair Trade. In 2005 we were lucky enough to visit some fair trade plantations in Chiapas and saw first hand the impact it has on the community. Thank you!!! First time I've purchased this coffee and I love it. As the label notes, this is a bold coffee with a pronounced chocolate aftertaste. Wouldn't necessarily be the one I reach for in a 2-3 cup morning blend, but really enjoy it as an after-dinner coffee. Dessert and coffee all in one glass! Fantastic coffee. Chiapas Maya Vinic has a great lingering chocolate flavor, but also a nice citrusy tang that I've come to love drinking black first thing in the morning. Delicious! We love it in our French Press and slow drip. Supports a great community, too!